Being the BBC, they did this by getting half the internet to freak out overnight, before dropping the news at 2.21pm BST, because social media. What they didn't count on was Martin Freeman inadvertently revealing their plans the day before. Oh well! 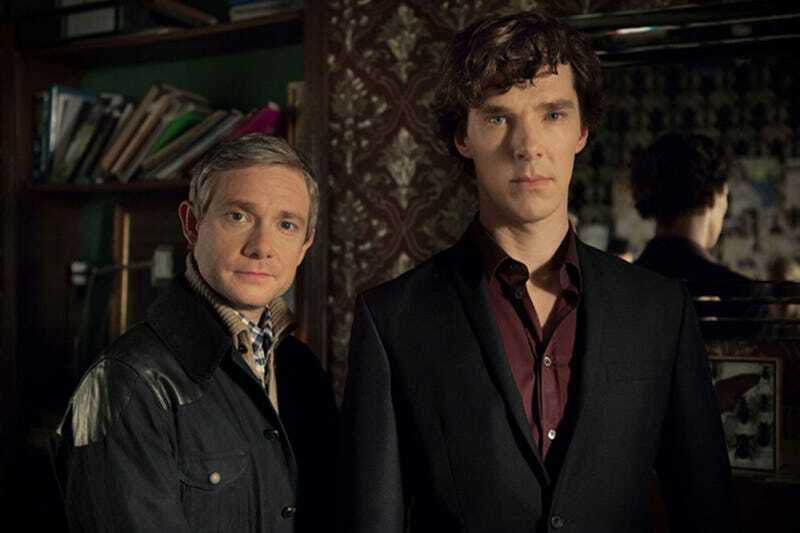 Although no potential airdates were mentioned, the new special will begin filming in January of next year, with the series filming later - no specifics were given, however, on whether the filmed series will broadcast later in 2015, or whether it will occupy Sherlocks 'traditional' (well, they've done it twice!) slot of early January in 2016 instead. Somewhere in an office in Wales, Steven Moffat is cackling maniacally.